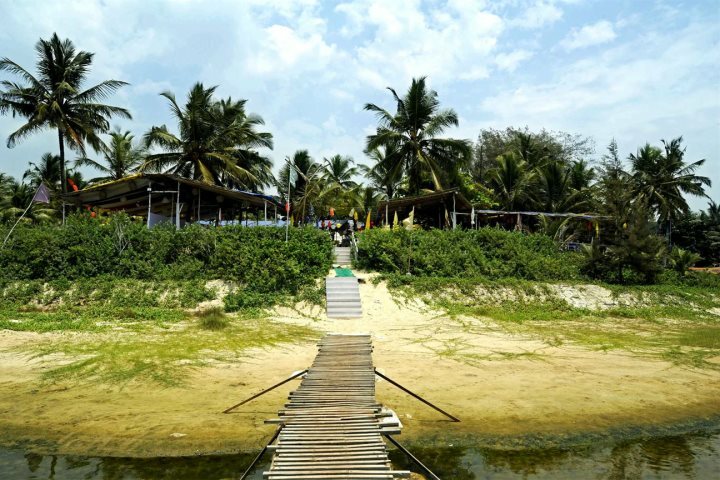 A selection of our favourite drinks in Goa, both alcoholic and non-alcoholic. Some traditional. Some new. 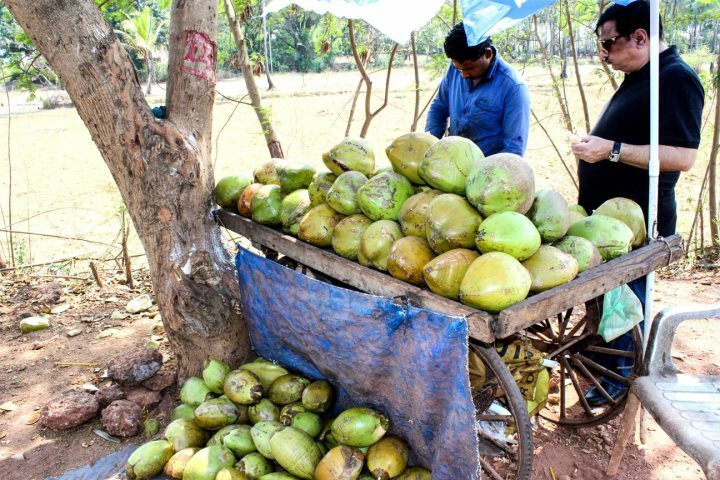 Whether you’re in search of a refreshing drink to stave off dehydration or you’re heading out to party, Goa has a wonderful variety of drinks to tempt you. While imported alcoholic beverages are expensive, there are plenty of local options that are well worth trying. I discovered this during my first to Goa and became quiet addicted to them. While my colleagues preferred them sweet, I loved the sweet and salty version, a deliciously refreshing drink, perfect to combat dehydration. It’s easy to make with the juice of a lime, a little sugar, a little salt, topped up with soda water and served with plenty of ice. 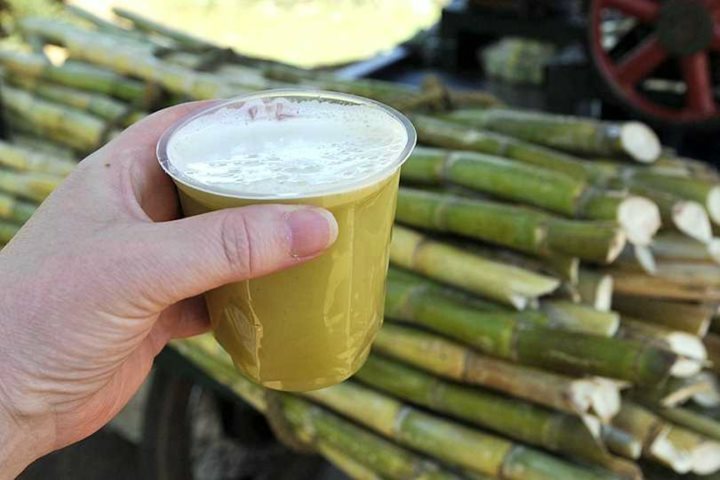 This yogurt-based drink is popular across India and can be sweet or salty or made with fruit. My personal favourite is a banana lassi. 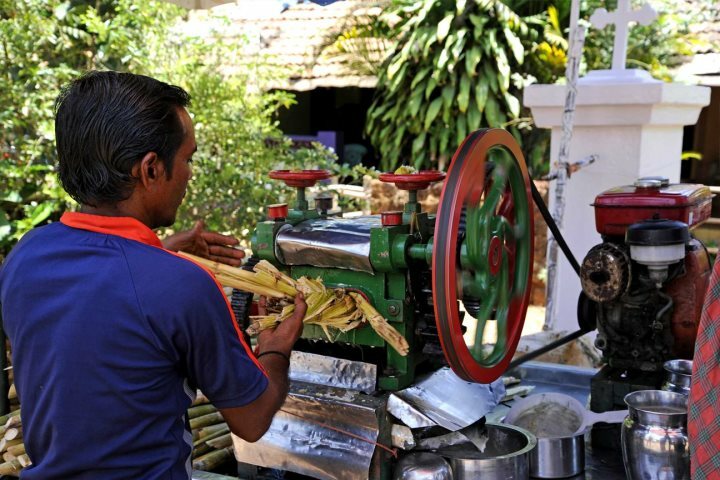 Squeezed sugar canes produce a thick yellow/green refreshing drink, available from roadside stalls. 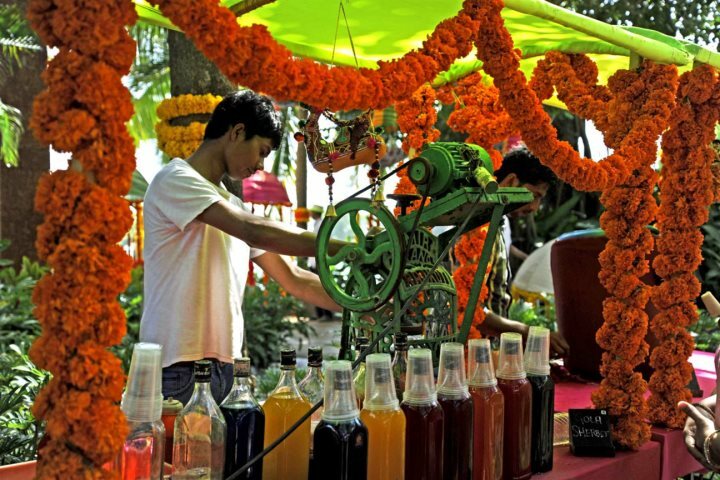 Made from the kokum fruit, this red coloured juice, just like the lime sodas, can be served with salt and/or sugar. The end of a green coconut is sliced off so that a straw can be inserted with the coconut husk forming a natural cup – so refreshing. 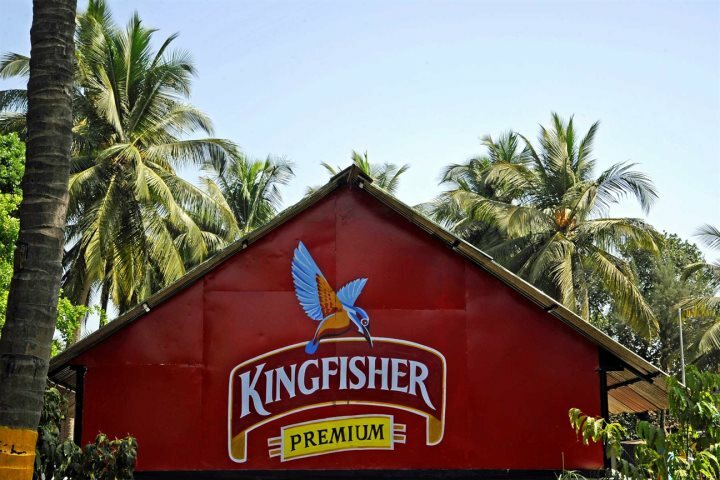 A Goan curry is best accompanied by a local beer such as Kingfisher. This light lager is readily available throughout the state with the most common type being Kingfisher Premium. Not as commonly found as Kingfisher beer King’s Black Label Premium pilsner is well worth trying if you see it available. It is brewed from maize and sold only in Goa. It is crisp and clean with a smoky malt aroma and is also perfect with a curry. 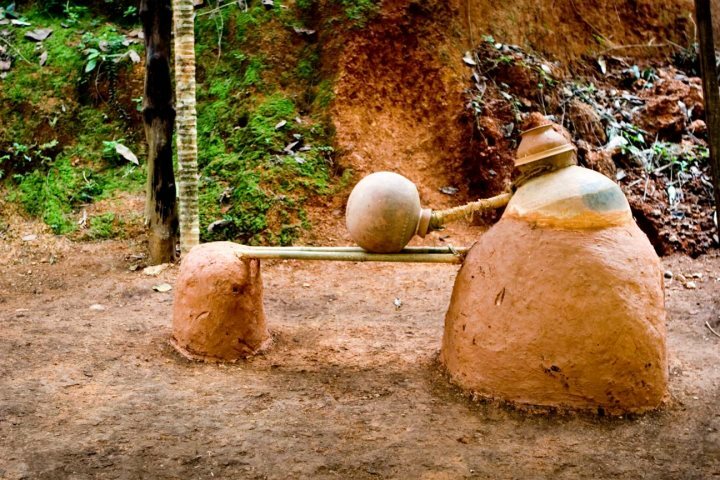 A local spirit with an acquired taste, feni is made from either cashew or coconut palm sap which is then fermented and distilled to around a 30% proof. It has a strong odour and distinctive aftertaste. Some bars serve feni-based cocktails such as Sol de Orange, a mix of feni, orange juice and lemonade. A seasonal drink, Uraak is the first distillate of cashew feni but if you are not a feni fan don’t let that put you off, it’s delicious. Winner of the Gold Outstanding medal at IWSC (the International Wine & Spirit Competition) – no mean feat – this spicy and totally natural liqueur is made in small batches to a centuries-old family recipe dating back to the times of the Portuguese Empire. First brought to Goa unsurprisingly by the Portuguese in the 16th century, Goan Port Wine is strictly speaking not a Port at all as it does not follow the strict regulations set out for true Vinho do Porto (and it’s not made in Portugal!). Nevertheless, this sweet fortified wine is inexpensive and enjoyed by many. Producing a range of sprits, liqueurs and cocktail blends, DesmondJi’s most popular drink is their 51% oak finished, Agave Gold. It’s recommended for Scotch and single-malt lovers, on the rocks or with soda, but it is also used in cocktails. The ridiculously strong, DesmondJi 100% Agave is a smooth drink that should be sipped and savoured. Both are of course made from the Agave plant, as is Tequila. The wine industry is still in its infancy in India and much of what the country has to offer is low quality, however, there are a few exceptions. 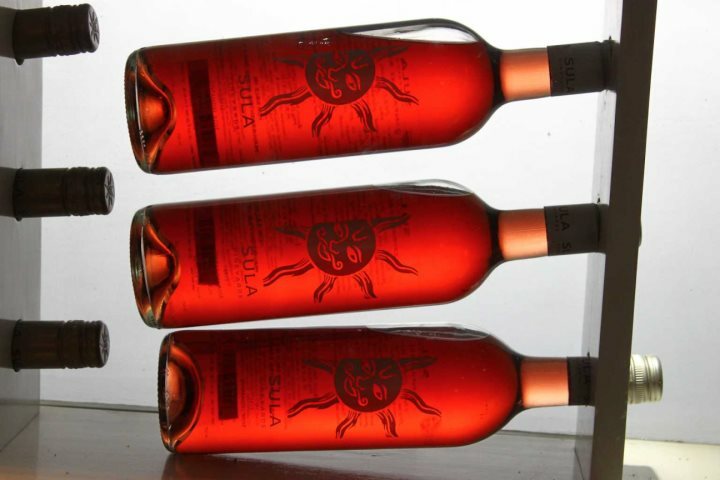 Sula Wines being one. They produce a good range of reds, whites, rosé, sparkling and dessert wines. Their finest is said to be their Rasa Shiraz, a complex red, best served slightly chilled.